I was feeling nostalgic this morning and missing peach season. So I reached for a jar of the peaches I had canned in August. Sadly I didn't get too much other canning done but I was sure to make time in the late evening/early morning hours to get some peaches in the jar. They're my favorite. Oatmeal was never something we had in my house growing up. I remember the first time I had it was at a sleep over and I absolutely hated it. However as the years passed it grew on me and it's now a great option when I'm not in the mood for eggs and want something warm and sweet. 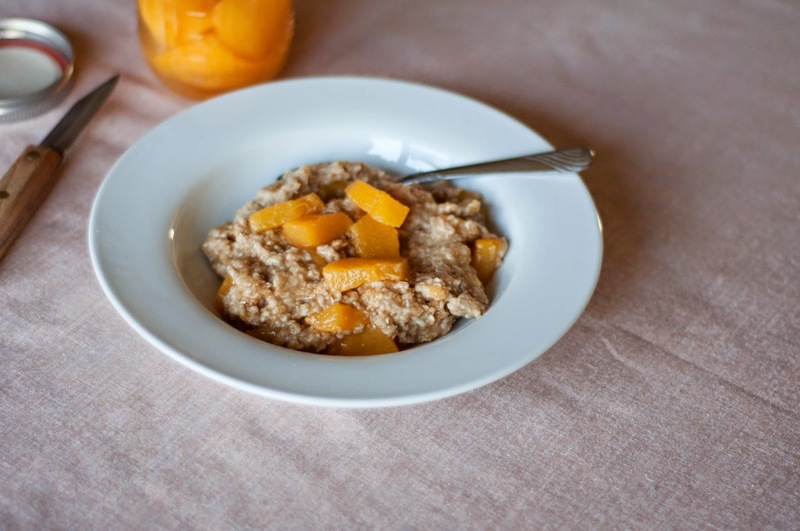 Cook your oatmeal and add vanilla, cinnamon, ginger, brown sugar, peach juice. 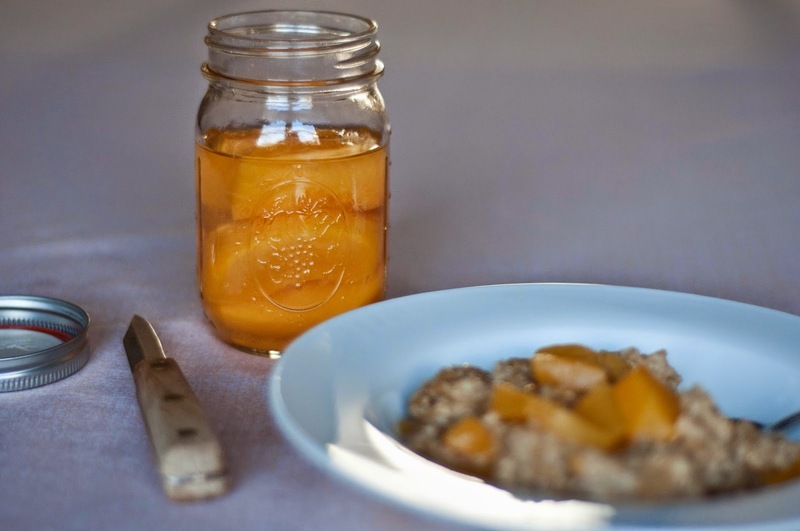 Stir and slice peach wedges over top. Breakfast is served!